When you think Craftsman style, you're thinking Oak Park. 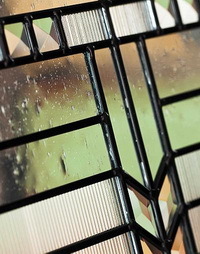 A patina finish and handcrafted, textured glass create a striking geometric pattern reminiscent of Arts and Crafts design. 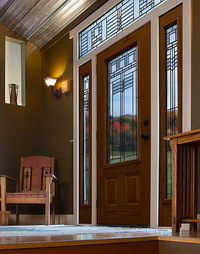 Four glass types create a bright entryway and medium privacy level.